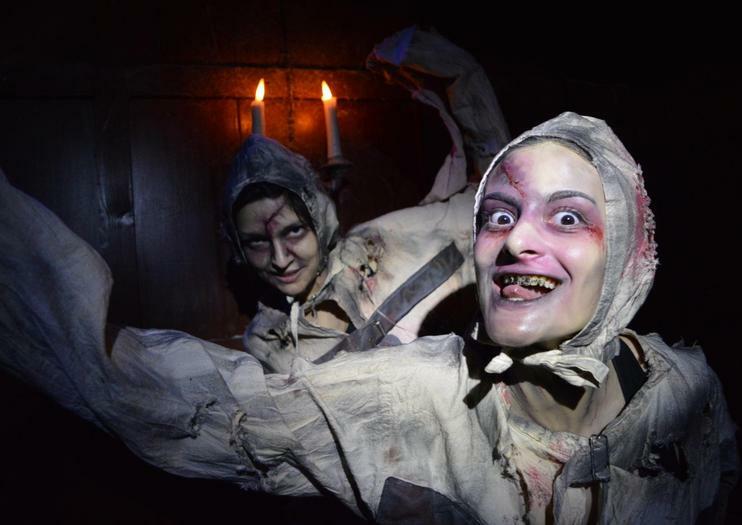 The Labirinto Lisboa is the only permanent haunted attraction in Portugal, combining live scare actors and special effects across 17 different environments. In just 15 minutes, explore a winding labyrinth that attempts to bring Portugal’s darkest historical characters and legends to life in a way that may feel like being inside a horror movie. Face the Grand Inquisitor in the Court of Inquisition before moving on to the Wellway to Hell and the Ossuary, a chapel built of human bones. Enjoy an appointment with a crazy doctor in a tuberculosis ward and then check out the home of one of Portugal’s most famous serial killers in the Fiery Lair. An infamous child-killer lurks in the Bloody Attic and a giant monster of the seas that haunted Portuguese sailors for centuries awaits in the Giant’s Cave. Gå tilbake i tid med en interaktiv opplevelse på Labirinto Lisboa. Se historiske figurer kommer til liv i 17 forskjellige scener for å utøve noen av byens mørkeste historier og legender. Denne interaktive turen kan utføres på engelsk eller portugisisk, og er garantert å gi deg kulderystelsen.